Since Tyson the polar bear loves wearing his adult diapers, how about he'll incorporate his own diaper brand that is Christmas-themed. I'm not completely sure what to name his unique diaper brand, but I was probably suggesting "Kringle Crinkles". What is your suggestion for the brand's name? 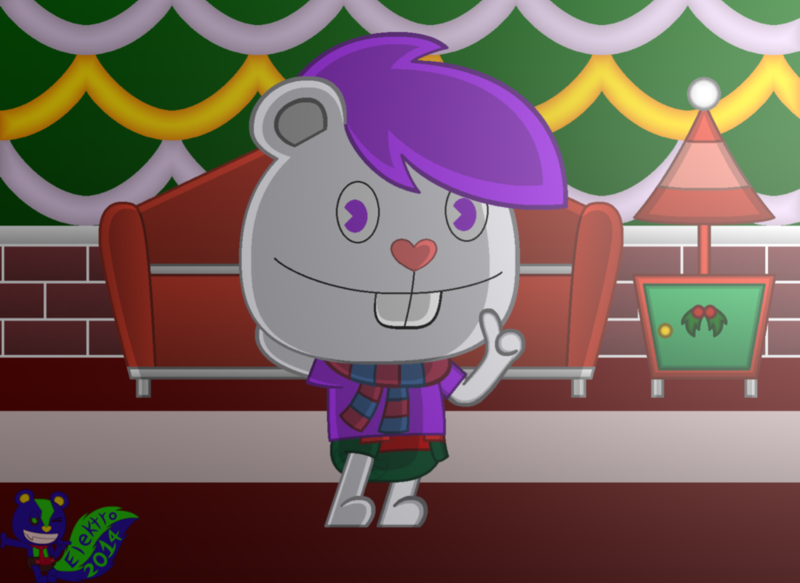 Anyhoo, the wallpaper, floor, sofa, and lamp all resemble the Jingle furniture series from the Animal Crossing franchise because of Tyson's love for Christmas and winter (hence the fact that he is a polar bear).